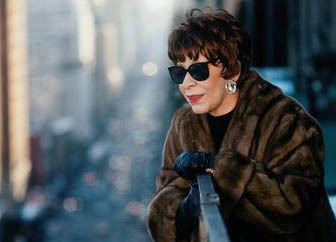 By Bill Holland, Washington, D.C.
Shirley Horn, the Grammy-winning jazz vocalist and pianist known for her intimate, whispery vocals and top-drawer piano playing, died yesterday (Oct. 20) at Gladys Spellman Nursing Home in Cheverly, Md., following an extended battle with diabetes. She was 71. Always respected critically, Horn became an unlikely star in her 60s with a series of luminous albums for Verve Records throughout the 1990s. Accompanying herself at the piano, Horn and her trademark vocal style also became a major influence on younger jazz singer/pianists such as Diana Krall and Norah Jones. Horn was nominated for nine Grammys in the last decade. She won the best jazz vocal performance award in 1998 for her album “I Remember Miles,” dedicated to her good friend and mentor Miles Davis. On several of her Verve albums, she worked with top arranger Johnny Mandel. On others she augmented her trio with guest artists like Davis, Wynton and Bradford Marsalis, Gary Bartz and Toots Thielmanns. Horn began playing piano at age 10. At 18, she was awarded a music scholarship to Juilliard, but financial difficulties kept her in D.C. After studying music at Howard University, she began her career in the late ’50s as a pianist in local restaurants and nightclubs and eased into her role as a vocalist. She was a headliner at Washington’s now-defunct One Step Down for more than 20 years. Despite critical acclaim, Horn rarely toured, instead remaining in D.C. to raise her daughter. When Verve signed her in 1987, she was ready to expand her horizons. For her 1996 album “Main Ingredient” she convinced the brass at Verve to record her at her home in the nation’s capitol. It was a casual affair. Horn cut back but did not stop touring in recent years due to her diabetic condition, which eventually resulted in the amputation of a foot. She is survived by her husband, a daughter and two grandsons. This entry was posted on Friday, October 21st, 2005 at 3:29 pm. It is filed under Music News/Info, Shirley Horn and tagged with death, jazz, legacy, legend, pianist, Shirley Horn, vocalist. You can follow any responses to this entry through the RSS 2.0 feed. Sad news. I’d heard she was ill for quite some time. One of my favorite voices has been stilled. After buying her last cd I heard about her health problems of the last few years. After listening to it, I had the feeling it was her way of saying goodbye.